Liston's amputation knife, ebony and metal, c 1860s. This amputation knife is part of an amputation set dating from the 1860s. It is named after the famous Scottish surgeon, Robert Liston. The shape of amputation blades changed over time, from curved to straight, and Liston adapted his own style of blade for optimal surgery results. In 1846, Liston performed the first leg amputation in Europe that employed modern anaesthesia. The procedure was over within seconds, and the patient didn't feel a thing! 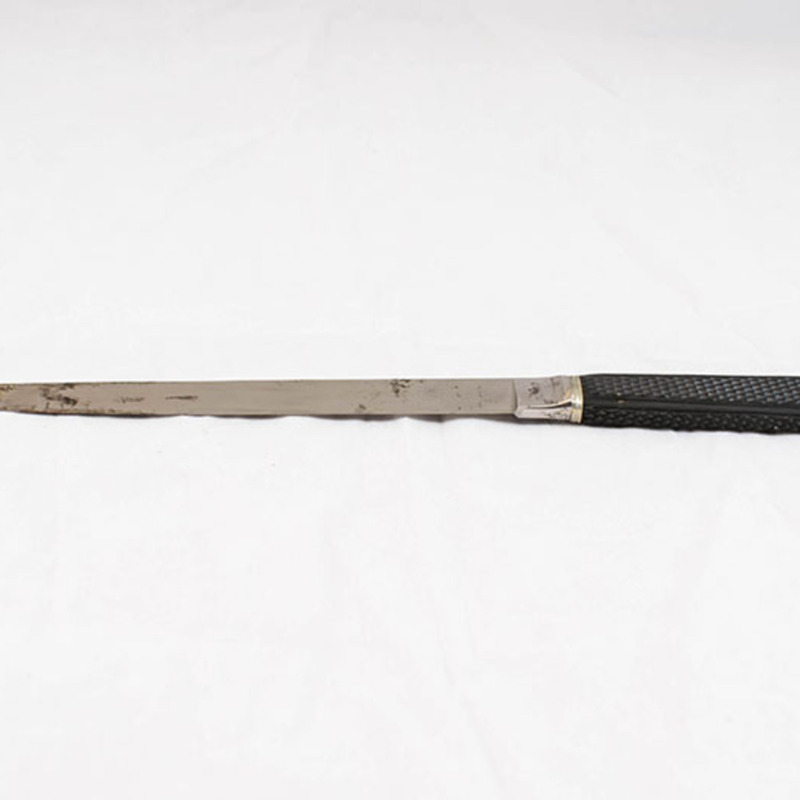 W. B. Hilliard & Sons Ltd.; 1834-1987; Medical and surgical instrument makers, “Liston Amputation Knife,” Heritage, accessed April 25, 2019, https://heritage.rcpsg.ac.uk/items/show/86. 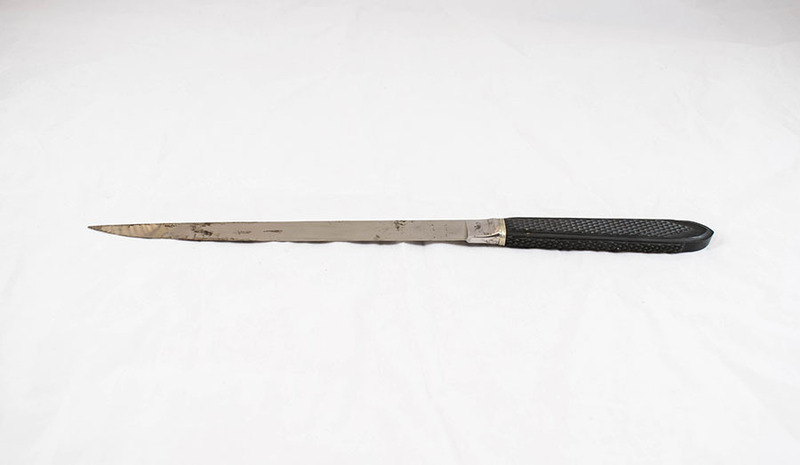 Description: Liston's amputation knife, ebony and metal, c 1860s. This amputation knife is part of an amputation set dating from the 1860s. It is named after the famous Scottish surgeon, Robert Liston. The shape of amputation blades changed over time, from curved to straight, and Liston adapted his own style of blade for optimal surgery results. In 1846, Liston performed the first leg amputation in Europe that employed modern anaesthesia. The procedure was over within seconds, and the patient didn't feel a thing!